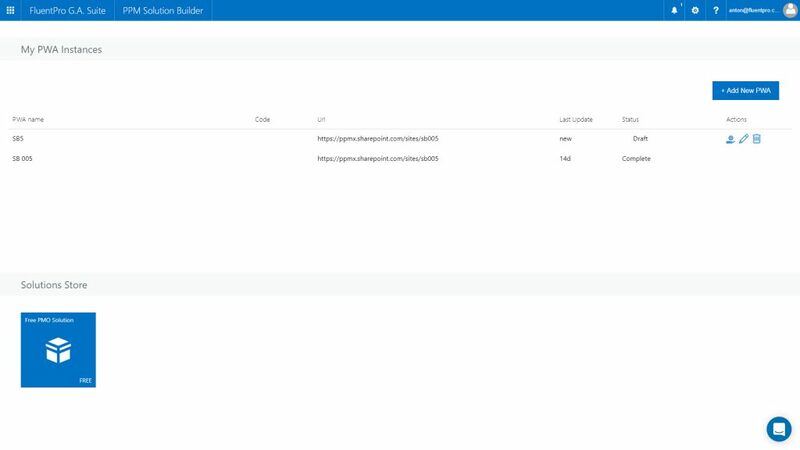 allowing you to move on to managing your projects much faster. Configuring Microsoft Project Online is a complex task that requires proper planning, especially if you have no specific expertise. 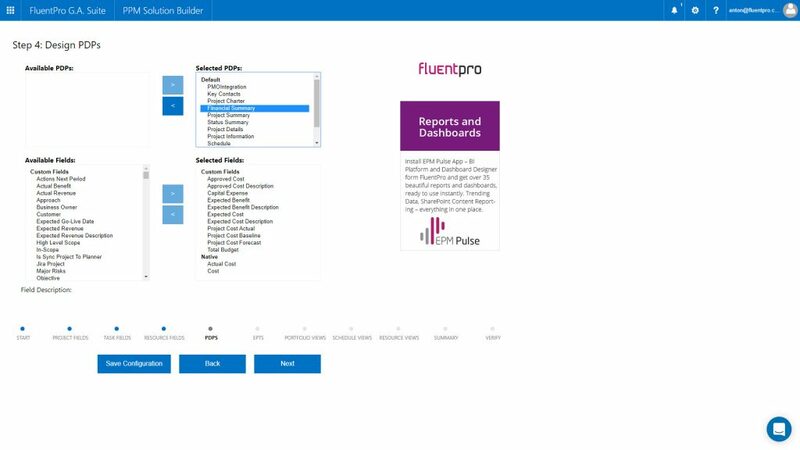 FluentPro PPM Solution Builder™ is a unique and effective way to configure your Project Online Environment using a smart wizard that assists in creating your own configuration in minutes. Alternatively, users can run pre-built configuration packages. 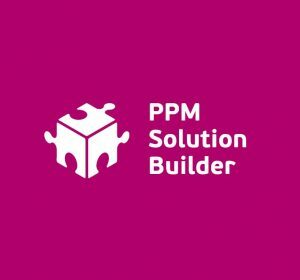 PPM Solution Builder is based on FluentPro expertise in implementing Microsoft Project Server and Microsoft Project Online for hundreds of companies. 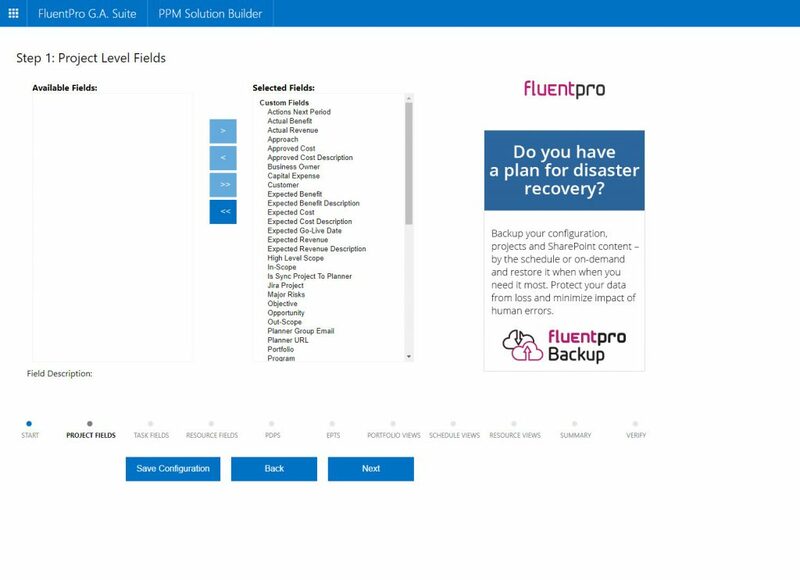 We have consolidated our extensive knowledge and applied best practices across multiple industries to provide you with an ultimate Microsoft Project Online configuration tool. 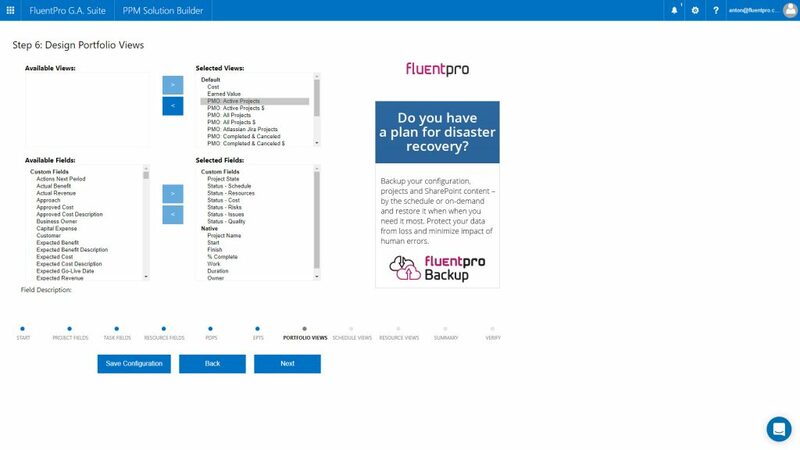 Get your Project Online Environment up and running in just 30 minutes. 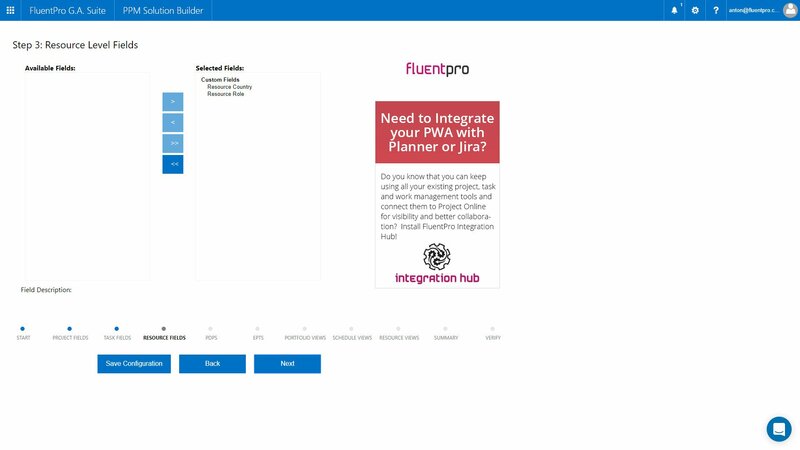 Apply one of the 5 standard configurations to deploy Microsoft Project Online effortlessly. Take advantage of our 10 years of expertise and best practices while designing and implementing Microsoft Project Online. 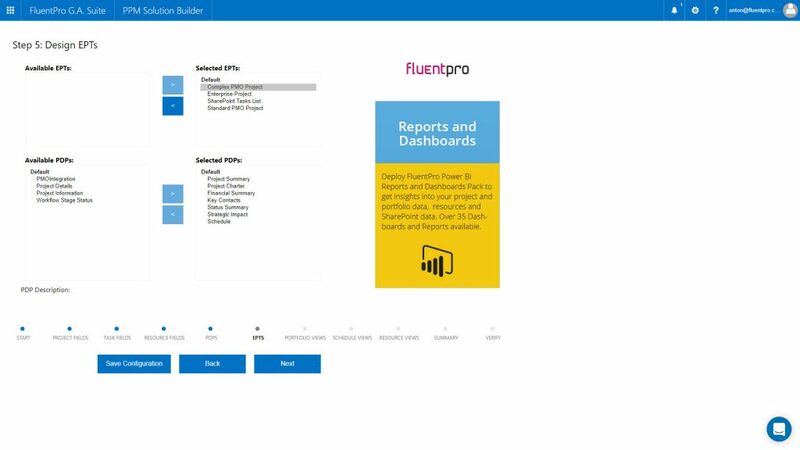 Provision and configure new PWAs for other groups and departments in minutes. PPM Solution Builder™ is available as a part of FluentPro G.A. Suite. For a demo please contact us.